A spectacular battle between the dog and human ends in human unconditional surrender and defeat! We all love different kinds of music and sounds and this dog owner has her preferences for the sounds that dog doesn’t approve of. 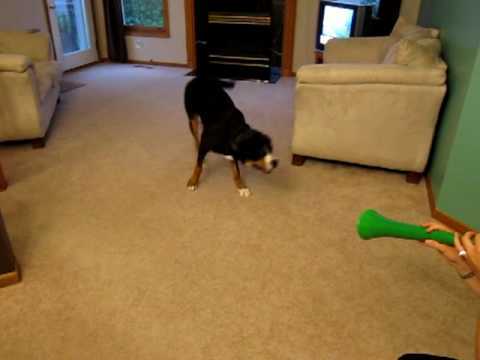 After tolerating these sounds for considerable (in dog’s mind) amount of time dog decided that enough is enough and I can do this to make a point. 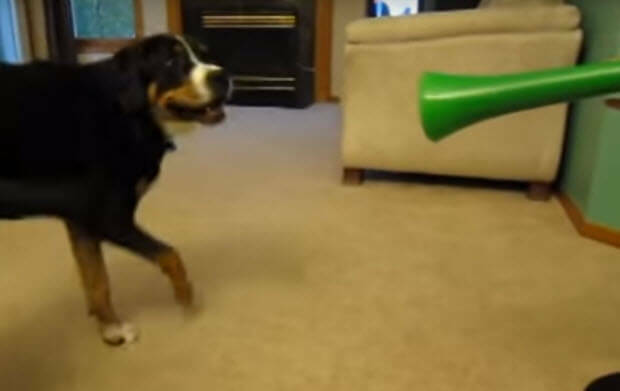 You should see this very short but very funny video of dog not being able to take anymore the sound of a vuvuzela. Do You Really Want To Know What Your Labrador Is Capable Of ? 5 YEAR OLD GIRL PLAYING WITH 14 HUGE GERMAN SHEPHERDS…AMAZING!!! GONE VIRAL: Man Has A Stroke & His Dog Follows The Ambulance All The Way To The Hospital. You’ll NEVER Guess The Ending!